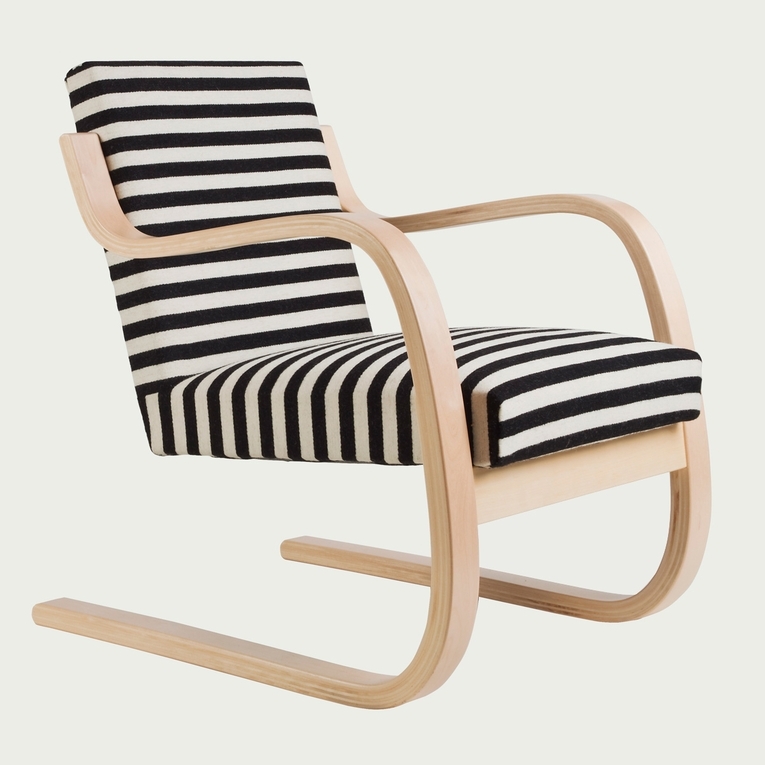 This modern design classic was introduced by pioneer Finnish designer Alvar Aalto in 1936, and remains one of his most popular pieces. Pair your favorite upholstered material with Aalto’s signature curvilinear birch frame and create a piece of furniture that fits your own personal style. This chair, perfect for lounging, is part of the Museum of Modern Art’s permanent collection. 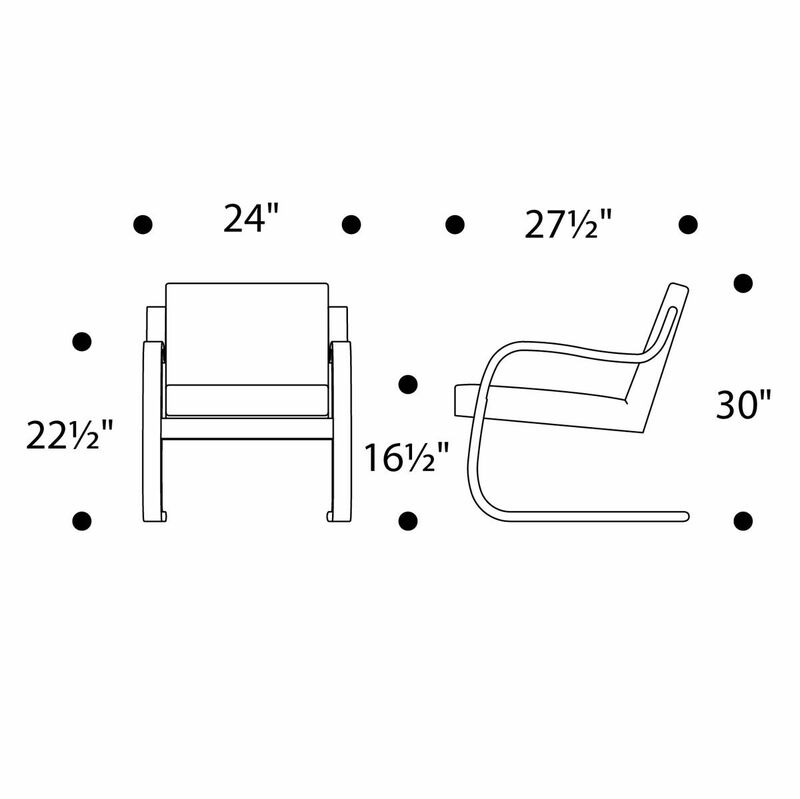 I own one of these artek alvar aalto lounge chairs I purchased in the early 1980's. It still has the original fabric which is quite worn and needs to be reupholstered. Can you do that? We do not have an upholstery service available. You should be able to consult with a local upholsterer in your area to do the work.